Since it went on sale a couple of years ago, the Volkswagen Atlas, the three-row, American designed and developed crossover/SUV, has scooped up its share of awards. Monday, the SUV added another honor to its resume when it was named one of Parents Magazine’s “10 Best Family Cars of 2019” list. It is the second straight year the Atlas received this award. Parents magazine editors had ample praise for the VW SUV. The remarked on its very ample legroom and cargo space, even with five car seats or boosters installed. The magazine also called out its fuel economy and its industry-first six-year or 72,000-mile bumper-to-bumper warranty, calling them key sales points. Volkswagen introduced the Atlas in 2017 as the brand’s first three-row SUV. 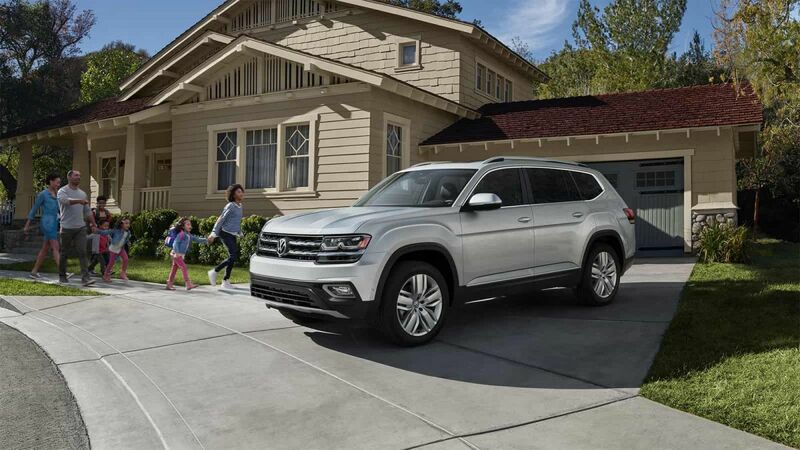 The SUV was designed and built for the American family. For 2019, the Atlas is available with two engine options, a 2.0-liter turbocharged four-cylinder or a 3.6-liter V-6. It is available in seven trim levels: S, SE, SE w/Technology, SE w/Technology R-Line®, SEL, SEL R-Line, and SEL Premium. Atlas also offer VW’s 4Motion® all-wheel-drive technology on a variety of trims. The SUV is assembled at VW’s state-of-the-art Chattanooga, Tenn. plant. Retail prices start at $30,895. To compile its “Best Family Car List,” the magazine began with a total of 30 minivans and SUVs that had passed government safety tests with excellent results. A child passenger safety technician then installed multiple car seats in each vehicle. Then a “Mom Mechanic” weighed in on fuel economy, maintenance costs, and driving features. “Second to the home, the car is at the center of our parenting universe,” Liz Vaccariello, said. Vaccariello is editor-in-chief of Parents. “Moms and dads need a vehicle that can handle their squad and haul all of their stuff. In developing this list, we wanted to evaluate what’s important to families at a level that exceeds other car rankings. This meant understanding the fundamental features needed in a vehicle, while also keeping in-car entertainment, and, of course, safety top of mind,” she concluded. Atlas, along with the rest of the VW family – excluding e-Golf – comes with VW’s “People First Warranty,” a six-year/72,000-mile (whichever occurs first) bumper-to-bumper New Vehicle Limited Warranty which includes powertrain coverage for engines, transmissions and optional 4Motion® all-wheel-drive systems. The warranty allows transferring the remainder of the warranty throughout its duration. For more information about the 10 Best Family Cars of 2019 list by Parents magazine: For more information, please visit Parents site.